Buying a house in Spain is an exciting but potentially stressful process. Finding English speaking property solicitors in Spain is not easy. Finding a professional team you can relate to and trust is even harder! Let us accompany you on this new chapter and help you navigate all the legal intricacies that come with buying a new property and conveyancing Spain. We have a clear vision of how the Spanish property law should be executed by all parties and which rigorous code of ethics to abide by. Our goal is to create a fully transparent property market through good practices while protecting our clients and their assets. WHY OUR CONVEYANCING SPAIN PROCESS WHEN BUYING A HOME IN SPAIN? You want to make sure you choose the perfect fit for you, your family and your lifestyle. However, not knowing the language and the legal system can prevent you from making informed decisions. Our team of property conveyancing Spain solicitors will protect your interests and your dreams from the potential legal loopholes that may stop you from achieving them. Guided by our transparent and rigorous research and validation processes you are guaranteed to make the right decision at every step of the way. We will review the private contract for you prior to you signing it, explain its terms and ramifications to you and advise you on whether or not it is in your interests to sign it. We will ask you to provide us with a power of attorney which will allow us to manage the purchase process on your behalf. NIE is a Spanish fiscal identification number that is needed before making any transaction in Spain. It can normally be obtained at a police station but we can easily obtain it on your behalf. We can do this for you and explain any queries you have regarding the account. We will undertake a comprehensive study of the property and ensure that the purchase is entirely legal and safe and that your interests are fully protected. We will confirm that your new property is purchased free of any previous debts and identify potential problems in relations to the property homeowners, building violations and other possible issues. Our due diligence and care will ensure that your purchase is completely secure. We will check the deeds at the notary and sign on your behalf. The Notary Public is an officially appointed law professional who will confirm the identities of the buyer and vendor and the legal status of the property. You don’t need to be present but, of course, we can arrange for you to accompany us if you wish. After the completion, the purchase is finished, and the remaining part of the price will have to be paid. We will calculate the taxes & fees owed and make all payments on your behalf. Once the property has been purchased we will register the deeds on your behalf to prove than you are the new legal owner of the property. After purchasing your property, you will need to ensure that you are aware of, and fulfil, your tax obligations in Spain. Inheritance planning is a smart step to take after purchasing a property as it will act as a safeguard against any eventualities in the future. Our attention to detail and careful choice of partners ensure that every legal gap is covered, so you can be confident in the fairness and transparency of your deal. We protect you from being taken advantage of! WHY OUR CONVEYANCING PROCESS WHEN SELLING A HOUSE IN SPAIN? Selling a property in Spain? Similar stages, similar concerns - same legal expertise and thoroughness. Our team of conveyancing solicitors will ensure the process is an equitable one where you don’t assume all the costs and there are no gaps and errors made by third parties. We want you to feel every aspect of the sale of your property in Spain is under control! We draft your private purchase contract, and have you sign it. We identify potential debts associated to the property and liaise with the bank to ensure cancellation of any mortgages. We secure the necessary licences and certificates from the Community of Owners and Council including the Energy Performance Certificate. We arrange for the signing of the public deeds at the Notary’s. 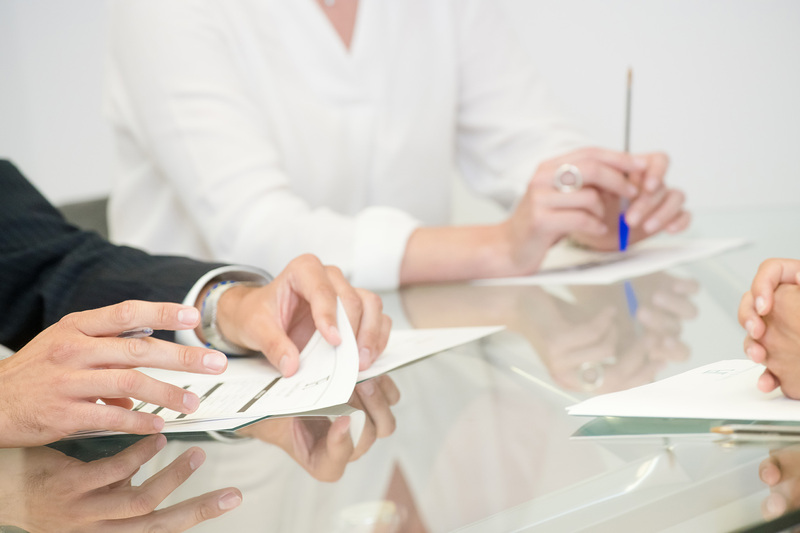 If granted a power of attorney, we will sign at the Notary’s office on your behalf. Otherwise, we will accompany and assist you. Translations are included. We calculate and coordinate of all tax payments connected with the sale. Reclaim 3% retention fees where possible. We close your bank accounts if required. We cancel all utility payments and other direct debits. HOW DOES WORKING WITH FUSTER & ASSOCIATES BENEFIT YOU? You will always have the certainty to have a team of experience conveyancers in Spain looking out for you! Our experience tells us that things don’t always proceed as smoothly as expected. That’s why we are glad to offer a No Move No Fee guarantee for all our clients. It means you will not have to pay for our services if the purchase or sale of your property doesn’t go ahead due to factors outside your control. HOW DO OUR CONVEYANCERS GET YOU TO WHERE YOU WANT TO BE? 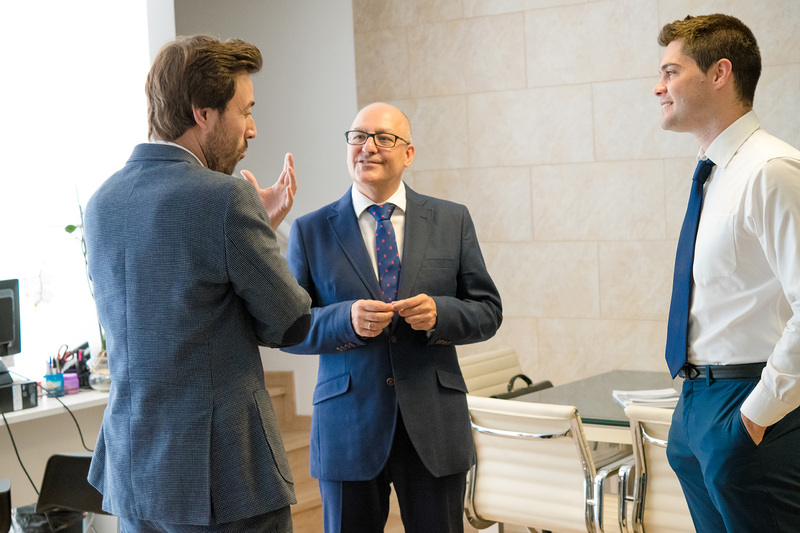 Our team of Spanish solicitors and real estate law experts have helped more than 10,000 international buyers and sellers in Spain complete the process successfully. Our comprehensive conveyancing services will guarantee you a safe and secure purchase/sale. The Fuster & Associates’ team has a profound knowledge of the laws and taxes that affect foreign property owners in Spain, with each one of our members also being an expert in their respective fields. When you entrust our team of Spanish lawyers and legal experts to handle the conveyancing of your property you are taking the appropriate steps towards ensuring that you meet your Spanish tax and legal obligations. Whatever your needs, they’ll always be handled professionally and successfully by our professional Spanish solicitors. WHAT DO OUR CLIENTES SAY? Since opening in 1997 we have represented thousands of international clients. To give you a better understanding of our firm we have collected together the testimonials of some of our past clients so that you can learn how we helped them. Please accept our most grateful thanks for your excellent service and professional courtesy you have shown us over the last 7 years and the smooth conveyance of our house purchase and sale. We are now permanently back in the UK but would not hesitate to recommend your services to anyone moving to Spain. Thank you so much for all your help with regards to the sale of our apartment last month. We were very pleased with the way you kept us informed at all times about things and replied to our queries so promptly. You helped us when we first moved to Spain and set up our business, which you remembered. NEED A PROPERTY CONVEYANCING SOLICITOR NEAR YOU? Do you need a dedicated team to assist you during the purchase of your property in Spain? Knowing that our qualified lawyers are handling your property purchase efficiently and diligently, you’ll be able to relax and look forward to the next chapter in your life! In addition to the complexities, we deal with the bread and butter of your move to Spain –freeing up your time so you can focus on what really matters to you. Conveyancing Spain.